The Sanctified Brothers are a men’s soul gospel group from North Preston. 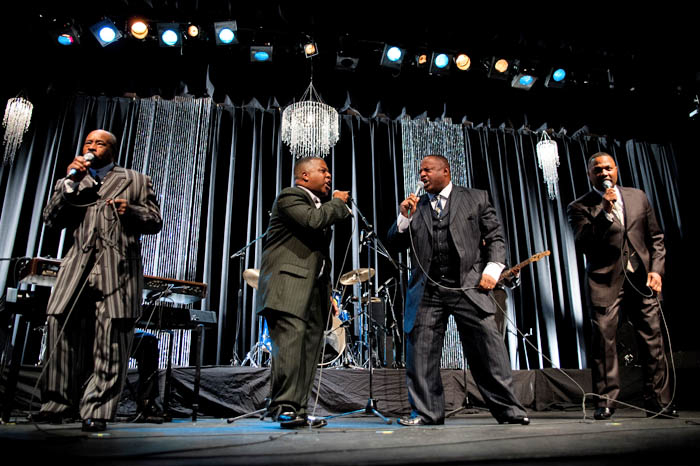 Nova Scotia has a long tradition of fantastic gospel music and The Sanctified Brothers, formerly known as The Deep River Boys, have undoubtedly established themselves as one of the best groups in Canada. Many have performed and been members of award-winning groups such as The Gospelheirs and The Hallelujah Praise Choir and have performed with Rita MacNeil. The Sanctified Brothers consist of Wallace Smith, Sr., Wallace Smith, Jr., Danna Wills, Mike Smith, Raymond Smith, Shaun Downey, and JR Smith.